Orangeries in Surrey & Croydon | The Wright Glazing Company - The Wright Glazing Co.
Orangeries look stunning and present a unique way of adding extra living space to a property, hence their rise in popularity. Available in an array of different styles from traditional to modern, we can offer bespoke orangeries to suit all needs and budgets. With their large brick pillars, orangeries have the feel of an extension, but the interior height of their roofs allows the light to flood the space and surrounding areas, creating a truly stunning and functional room, while enhancing the internal and external features of your home. We offer a fully project managed service, including all building works, electrics, plastering and flooring and have a highly skilled, professional workforce of tradesman, installers and surveyors. All our work comes with a fully comprehensive 10 Year Insurance Backed Guarantee. If you’ve been researching orangeries with the view to increasing space in your home, we can introduce you the following range of styles. The modern design of this structure accepts the introduction of sliding or bi-folds door with a wide span width. If you want to connect your home to the outside and create a space that’s perfect for entertaining, our selection of contemporary orangeries will meet your design requirements in full. The atrium style roof that comes as standard with our contemporary-styled orangery has been built to optimise light entry – so you’ll never have to worry about your new room being too dark. That’s because it uses less bars than comparable designs. 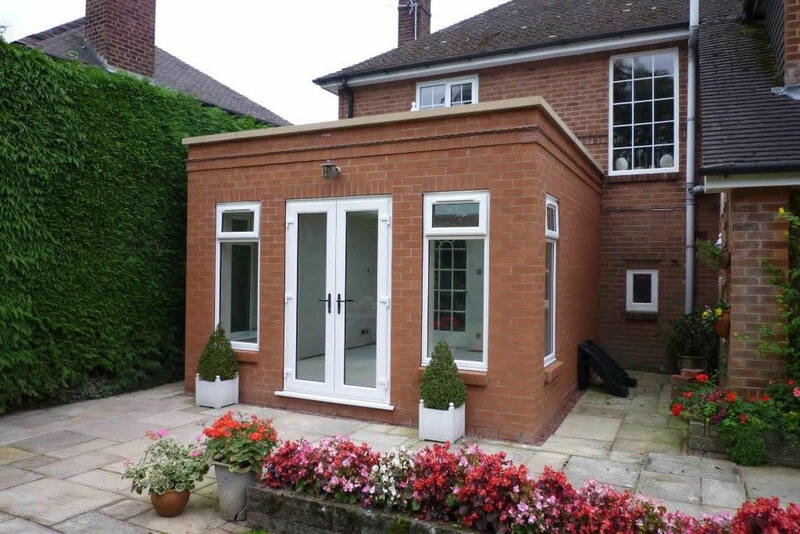 You can also add style to your orangery with brick or insulated columns. Are you interested in achieving a more traditional design? 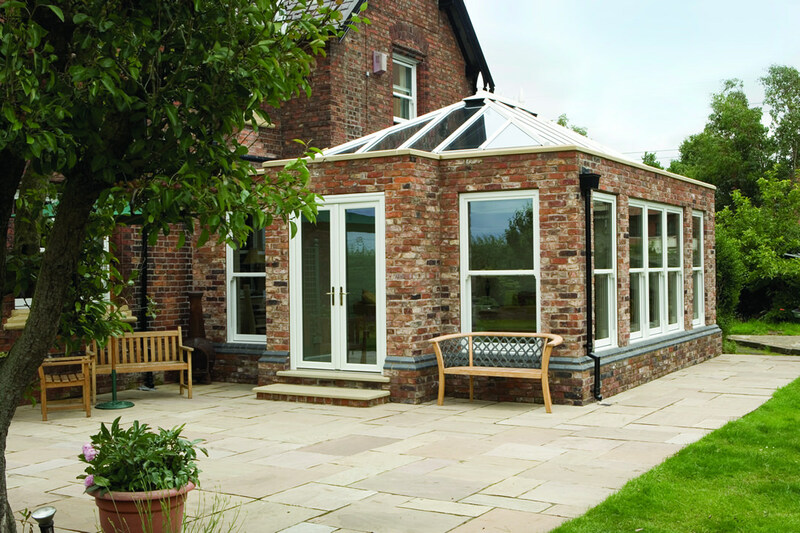 Our range of classic style orangeries are characterised by brick piers that add a touch of architectural presence, while also improving thermal performance. 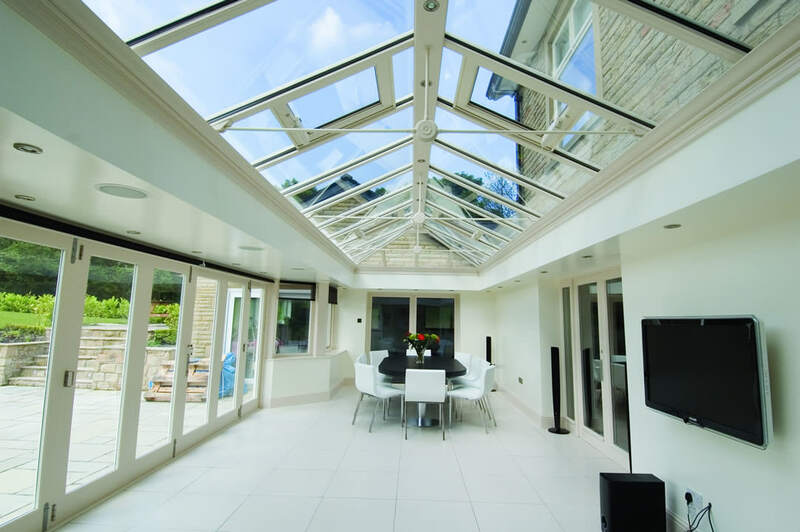 This design of orangery features a glazed roof that will allow light in and create a sense of space and keep your space the perfect temperature year-round. Internally, our classic orangeries deliver too. The presence of the internal ceiling pelmet that comes as standard with your roof will create that all-important roomlike feel, resulting in a space that feels comfortable and acts as a natural extension of your home. Speakers and lighting can be added to the pelmet to further enhance the quality of your living experience. 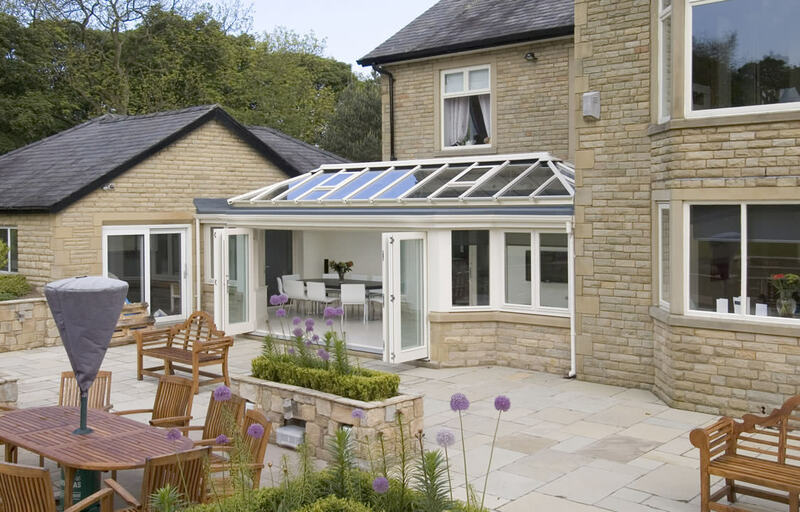 This orangery style features a flat roof that receives natural light via an atrium-styled roof designed to fully illuminate the space beneath it. The roof creates a wonderful focal point, whether viewed from the outside or inside. The accompanying lantern orangery roof is available as a single unit; it can also be installed in two smaller sections to break up the design and create an impactful design. Your choice will be influenced by your home’s architecture. Depending on your budget, you can complete the design of your lantern orangery with a PVC or aluminium finish. Your new room will also accept the introduction of near full-width bi-fold doors that will improve access and invite in light. create a better connection between your home and garden, especially if you elect to add wide-span bi-fold or sliding patio doors to your design. The Wright Glazing Company offer a full supply and fit orangery service. Our professional home improvement experts are dedicated to ensuring your orangery is built to the highest quality, with minimal intrusion to yourself and your family. 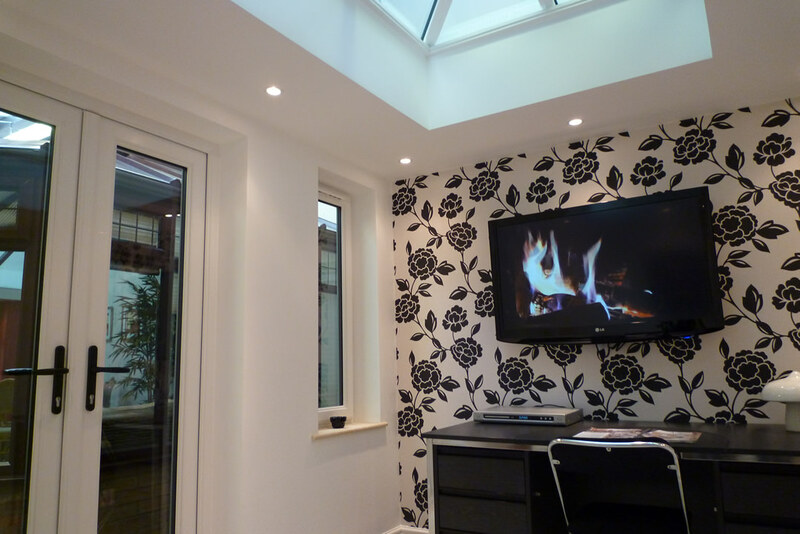 We are happy to answer any questions regarding our orangeries, please call 0208 6444224 for advice and a free estimate. Alternatively, get in touch with our team via our contact form.